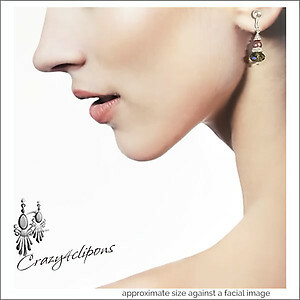 Features: Dressy faceted crystals and pearl clip on earrings with a luxurious feel. Perfect to provide a touch of festive looks to your wardrobe. 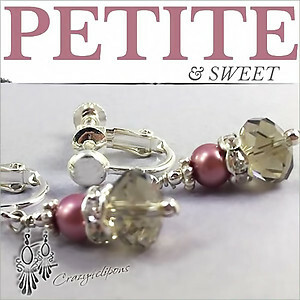 Czech crystals and mauve fresh water pearls, all combined with a crystal rondelles, sterling silver daisies and seeds. 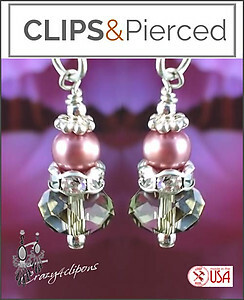 Specs: Czech champagne crystals, mauve fresh water pearls, crystal rondelles, sterling silver daisies and seeds.